Betel vine (Piper betle) belongs to the Piperaceae family and is indigenous to Indonesia. Growing on other vines or leaning on nearby trees, these plants can often reach 15 meters in height. Usually, a betel leaf, known as ‘paan’ in India, is anything between 5 cm and 8 cm in length and about 2 cm to 5 cm in width. The leaves of this plant are heart-shaped and intensely green and emit an odour when crushed. The stems of betel vine have a greenish-brown hue. The plant family to which betel belongs - Piperaceae, also includes kava and pepper. This herb is esteemed for its therapeutic qualities as well as its gentle stimulant actions. The use of betel leaf is widespread in Asian countries. Betel is also used in other parts of the globe, especially by Asian emigrants, who refer to it as ‘paan’ or ‘quid’. Betel leaf is generally chewed with or with no tobacco, which results in an addictive formulation that not only causes stimulation and euphoria, but is also detrimental for our health. People who chew betel leaves regularly have stained teeth, especially if they do not take proper dental care. The betel vine is an evergreen plant as well as a perennial creeper. While the shiny leaves of this plant resemble the shape of the heart, its catkins are white hued. This plant has its origin in south and south-east Asia. Betel leaf is mainly cultivated in different South and Southeast Asian countries. As the betel vine is a creeper, it is essential to grow the plant beside a suitable tree or set up a long pole near the plant for support. Betel vines need to be grown on an elevated land and in an exceptionally fertile soil. Alkaline and saline soils as well as water logging are harmful for the betel vine. 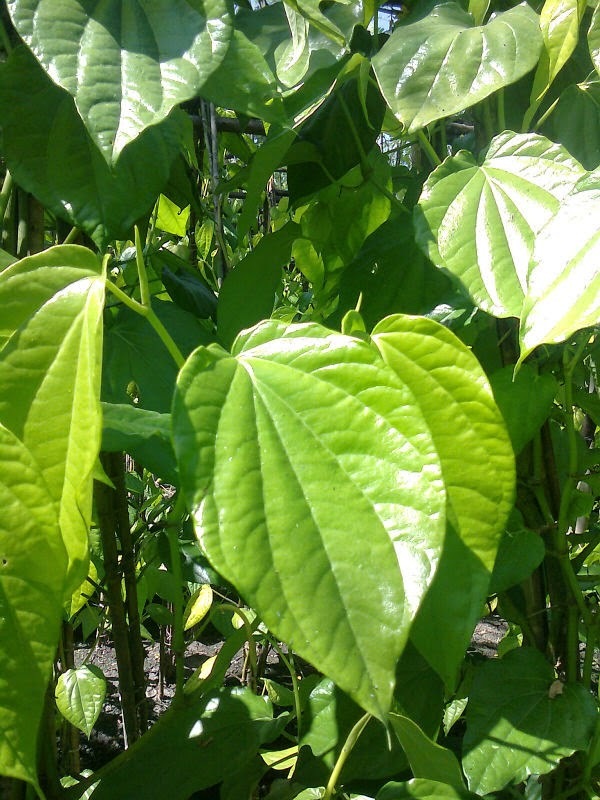 Betel vines have excellent growth if grown in areas where rainfall is well distributed throughout the year. Betel vine has a preference for sunlight. However, the quality of leaves of plants grown in intermediate and wet zones is better compared to those produced by plants cultivated in arid areas. Moreover, it is essential to provide the plants with appropriate levels of shade and irrigation, if you want the plants to thrive well. You should also bear in mind that hot, dry winds are detrimental for betel vines and they slow down the growth of the plants. In addition, betel requires a soil that is always moist, but excessive moisture in the soil is harmful for the crop. The plants should be watered frequently, but lightly. It is important to ensure that there is not water logging or standing water for over 30 minutes. Usually, betel vines are propagated by the stem cuttings from the established plants. The cuttings should be essentially taken from the vines that are high yielding and have comparatively larger and greener leaves. In addition, the cuttings should always be healthy. You can directly plant the cuttings in their permanent position in the fields, or grow them as rooted cuttings in polythene bags in a mixture of equal proportions of soil, sand, cow dung and coir dust. 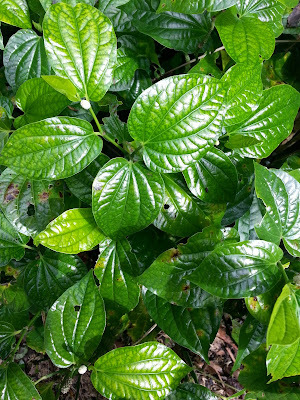 Betel leaves possess analgesic as well as cooling properties and are used for several purposes, including therapeutic. They are effective in alleviating headaches. These leaves also possess diuretic properties. Betel leaves are also an excellent remedy for nervous pains. They are effective for treating nervous fatigue and debility. The leaves of betel vine are also helpful in treating pulmonary affection (a lung disease) in children and the aged people. Betel leaf is also useful for treating aching throat. Betel leaf is also effective for treating arthritis inflammations and orchitis (a condition wherein the testes become inflamed). You may also use betel leaves to heal wounds. Betel leaf is beneficial for nursing mothers, as it aids in augmenting breast milk secretion. In order to obtain this benefit, lactating women need to apply betel leaves coated with oil to their breast. The analgesic properties of betel leaf are also effective in alleviating ear aches. Betel leaves contain some elements that are beneficial for people with diabetes. In addition, betel leaf paste is also applied externally to the throat to cure problems related to it. A paste prepared with betel leaves is used in the form of gargles for treating sore throat and diphtheria. This herbal paste is also effective for treating back pain, breast inflammation and other conditions. It is important to note that betel leaf paste is also used to treat erectile dysfunction. Dried betel leaves are pulverized to obtain the powdered form, which is used orally for treating a number of conditions, including problems related to the mouth, digestive disorders and reduced peristalsis (the progressive wave of tightening and loosening of a tubular muscular system, especially in the digestive tract). Powdered betel leaf is also effective in treating problems related to the throat and the respiratory tract. Powdered betel leaf also works to reinforce the body, especially the cardiovascular system. In addition, betel leaf powder is also used in the form of an aphrodisiac as well as to maintain the normal temperature of the body. The rate of oral cancer is quite high in India and it is believed that chewing various preparations of betel leaf is responsible for this. However, it is yet to be ascertained whether the betel leaf itself or the accompanying areca nut or tobacco, used in some betel preparations are responsible for the elevated rate of oral cancer. It has been found that oral as well as esophageal squamous cell cancer are related to chewing different betel preparations. In fact, it is only a few centuries back that people in India have started using tobacco, a very detrimental and addictive element, with betel leaf as a chewing mixture. Precisely speaking, people started using tobacco leaves in betel preparations from the colonial times.